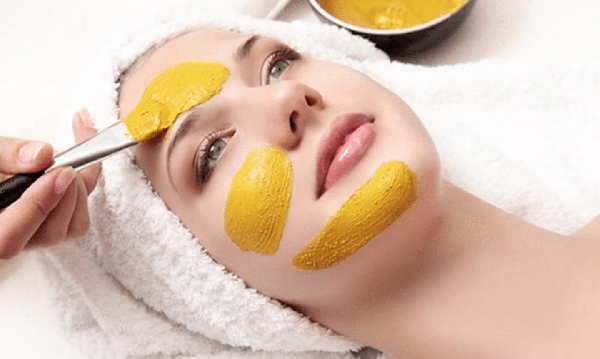 10 Amazing Turmeric Face Packs For Different Types Of Skin. Take Care! Taking good care of our skin needs a consistent skin care routine and face pack is an indispensable part of it. While the market is flooded with commercial face packs and some of them even claim to be made of natural substances, it is always safer to rely on homemade face packs prepared with freshly collected natural ingredients. Turmeric is one such amazing natural skin care remedy that is used thoroughly in face packs and the best thing about this ingredient is that it suits all types of skin easily. In this article, let’s talk about 10 simple yet super effective turmeric face packs for dry, oily, and sensitive skin respectively. 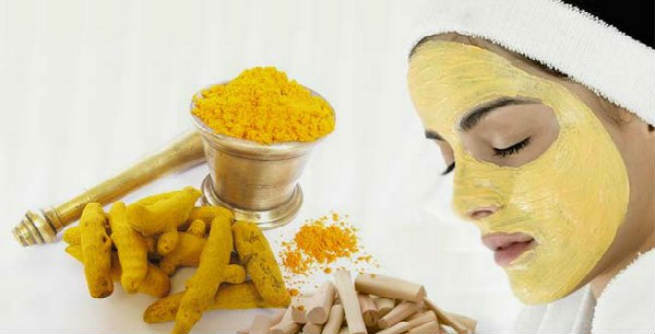 Why Use Turmeric In Face Packs? Turmeric contains a bioactive component called ‘curcumin’, which contributes heavily to the health, skin, and hair benefits of the spice. It is loaded with antioxidants that protect the skin from free radical damages and add a natural glow to it. It induces moisture in the skin, controls the secretion of excess oil, and gives new life to the dull and damaged face. It has great anti-inflammatory and antiseptic properties that keeps a range of dermatological conditions including eczema, psoriasis, lichen planus, etc. at bay. It helps in healing acne scars and cutaneous wounds by repairing damaged tissues efficiently. Mix 1 teaspoon of fresh rose water with 2 teaspoons of thick milk cream. Add a half teaspoon of turmeric powder to it and blend well. Apply the paste all over your face and wait for a couple of hours. Once it gets dried, wash off with plain water. Prepare a thick smooth paste by mixing half a teaspoon of turmeric powder with 2 teaspoons of milk cream, 2 teaspoons of sandalwood powder and 3 teaspoons of gram flour. Spread it onto your face uniformly. After 15-20 minutes, rinse with lukewarm water. Beat the white section of an egg and mix 1 teaspoon of rose water, half teaspoon of almond oil, 1 teaspoon of fresh lemon juice and a pinch of turmeric powder with it. Blend well and apply on your face. It will become dry within half an hour. So, wash off with lukewarm water. Combine 2 teaspoons of gram flour with 1 teaspoon of yogurt and half a teaspoon of turmeric powder. Once you get a paste of medium consistency, spread it on your whole face. Wash thoroughly with fresh cold water after 25 to 30 minutes. You can prepare this pack by adding 3 teaspoons of yogurt, 1 teaspoon of rose water and half a teaspoon of turmeric powder to 2 teaspoons of Fuller’s Earth. Mix all ingredients properly so that no lump exists in it. Let it stay on your face for 20 minutes or more. Then, rinse off. Juice up a small orange. 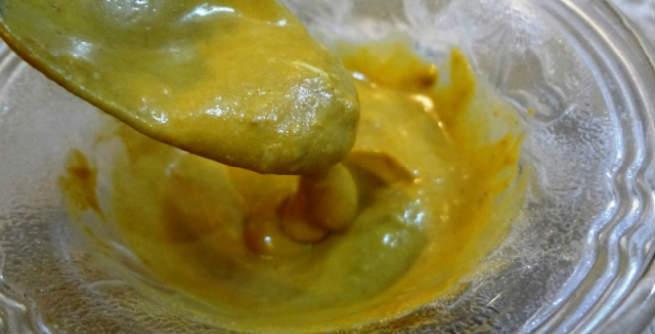 Add a pinch of turmeric powder and 2 teaspoons of sandalwood powder to it. Form a smooth thick paste. Coat your face with it and wait for next 15 minutes. Then, rinse with cold water. Here is another face pack that can be made by mixing 2 teaspoons of sandalwood powder, 2 teaspoons of milk, a little turmeric powder and 5 to 6 drops of fresh lemon juice. Make sure that you wash this pack off with lukewarm water after 15 minutes of the application. Mix 2 teaspoons of Fuller’s Earth with 1 teaspoon of fresh aloe gel and 1 teaspoon of yogurt. Add a pinch of turmeric powder to this mixture and blend well. After 20 minutes or so, wash it off. You can make this pack easily by combining 2 teaspoons of fresh milk, 1 teaspoon of raw organic honey, 1 teaspoon of wet and mashed mint leaves and half a teaspoon of turmeric powder. Regular application of this for 20 minutes can benefit your skin a lot. Prepare a runny mixture by adding a little turmeric powder to 4 teaspoons of jojoba oil. Massage your face with it and leave for half an hour. At last, rinse with fresh cold water. Be careful about the amount of turmeric you use in your face packs. Typically, 1 teaspoon of fresh, raw turmeric is equivalent to (1/2) teaspoon of turmeric powder. Try to use organic turmeric on your skin as it is safer than all other alternatives. Make sure that you are not allergic to turmeric, or it can cause you redness, irritation, swelling, etc.